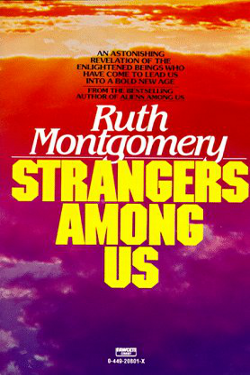 Ruth Montgomery, started off as a journalist and a political columnist, and later moved on to become a world famous author and psychic. All her books have been thought provoking, and this book is no different. This book is really good for those who are interested in spiritual studies. Ruth connects with her Spirit Guide and gives us information about many things that alot of us are unaware of!!!! Through this book, Ruth introduced the concept of “WALK- INS” to the American public. Though this concept was known to many in the Far East, especially through books by T.Lobsong Rampa,…. to the Americans , this was a totally new concept. The walk-in theory did stun the spiritual community when this book was released!!! According to Ruth, a Walk In is someone who has come to help people connect with their Higher Self , to find Universal Love. A wonderful metaphysical book, which is also intriguing. It helps us open our mind to many new possibilities. In this book, Ruth discusses the future of this planet, the pole shift, shift in consciousness, enlightened beings and many more!!! !